Your lawn plays a crucial role in the exterior beauty of your home, so its maintenance is imperative. Hiring a professional to care for your grass will help avoid patches, browning and pests or diseases. On average, homeowners spend about $135 on lawn services although that varies based on the types of treatments a lawn needs. Here are some cost considerations when you're looking at services. Cost data is based on actual project costs as reported by 30,769 HomeAdvisor members in . You may be able to reduce the cost if you are able to diagnose lawn issues before hiring a professional to take care of them. Investing in a service is worth the cost if you're busy and don?t have the time to do it yourself. Lawns mowed to an acceptable length--two to four inches--can handle climate stress, grow fewer weeds and will retain moisture. Prices will vary by location and whether the service is for a commercial or residential property. Urban landscapes will also cost more to maintain. Grass cutting rates will also vary depending on the frequency of mowing. If you have your lawn trimmed too infrequently, it will be more difficult to maintain. They are also based on square footage, though there is a minimum cost. It's also important for lawn care professionals to know if you?ll want the front and backyard trimmed or just one. 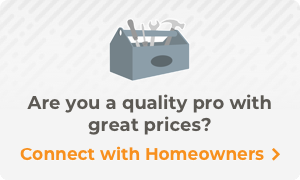 For those projects where you would benefit, hire a lawn care pro today. Homeowners who want landscape edging installed should consider matching it to their walkways or patios. It's also a good way to create a new flower bed in your backyard. Learn more about the landscape curbing cost to budget your project. It's less likely to dry out grass to where it could burn in extreme heat conditions. There is also winterizing fertilizer for warm season grass, like bermuda and turf. Winterizing turf should be done in the fall. Unlike regular fertilizer, this has a lot of phosphorus and potassium but will increase a lawn's hardiness against the cold months. See how much it costs to fertilize your lawn. The best season for aeration is spring, so your grass can heal after having the holes poked in it. The best tools to use are either a spike aerator or a plug aerator. With a spike, you will poke holes in the ground with a tine or fork. Plugs will remove cores of soil from the grass. The plug will often work better because it removes soil rather than poking holes. Dethatching or power raking moves away dead grass, excess grass and putting holes in the ground and is considered another method of aeration that costs less. It can cost between $100 and $200 depending on the size of your lawn. See how much lawn aeration costs if you have it done professionally. Average lawn mowing prices range from about $30 to $80 per visit, depending on square footage, and large cutting projects can cost more as a result. Most lawn care services charge a flat rate per visit for lawn cutting and additional fees for extra services like edging, leaf-blowing or seasonal cleanup visits. You can determine how often the service comes, like once per week during the peak growing season. In terms of seasonal cleanup, a final autumn visit can include mulching or bagging leaves. An early spring visit may be needed to clear winter debris prior to regular mowing. Each service determines its own rates, and it can vary depending on many factors. Ready to hire? Get in touch with a lawn mowing pro today. A budget-friendly option is hiring independent contractors, such as neighborhood teens who cut grass for a small fee during the summer. These individuals will generally have their own equipment and transportation and typically charge lower rates. They do not have as much experience or offer the range of services that lawn care professionals do. The quality of work is extremely varied, although word-of-mouth will often let homeowners know who provides the best service. As a final cautionary note, independent contractors that do not have insurance can be a liability to the homeowner if they are injured on the job. Homeowners should be familiar with their own insurance policies and weigh the possible risks and rewards carefully prior to hiring a neighborhood teen or other uninsured person to mow their grass. The best time to water your lawn is the morning to avoid evaporation or wind. Usually grass needs at least one inch of moisture a week. A good tip to lawn watering is following drought restrictions. They can be hard on the environment and your grass, leading to damage. You can also prevent runoff water by monitoring your yard for puddles. Sprinkler systems are an easy, effective method for keeping your lawn green. The top four sprinkler types are portable, stationary, rotary and oscillating. Portable and stationary sprinkler systems are good for specific areas. Rotary and oscillating sprinklers are better for medium to large lawns. Consult with a professional to determine if one type or a mix of two works best for your lawn. Some are better for smaller lawns while others for large acres. Lawn care professionals will know which tool to use, but you can also purchase them if you plan to DIY. See how much leaf removal costs. i'm going to check out this guy. I haven't had much luck with a trustworthy and great gardner as of late. have you found anybody for this mowing season coming up? I was interested in continued twice a moth service prices? for 3 units next to each other? Anyone looking for Lawn Care in the Polk County Florida area? pruning and planting needs may be involved, too). Looking for a fair price for cutting lawn and maybe lawn repair. I have had Jose's. They mow & go. No weeding or trimming of bushes or trees! Looking for a low price lawn work. It is much better to have a pro during your lawn than a friend.You will always have your friend but not your grass. How much does it cost per mowing ? One inch of water a week?